The life and legacy of Mikalojus Konstantinas Čiurlionis entwined with the Luthuanian culture and people of the past through today are the foundation of what is to become the Kaunas M.K. Ciurlionis Concert Centre. 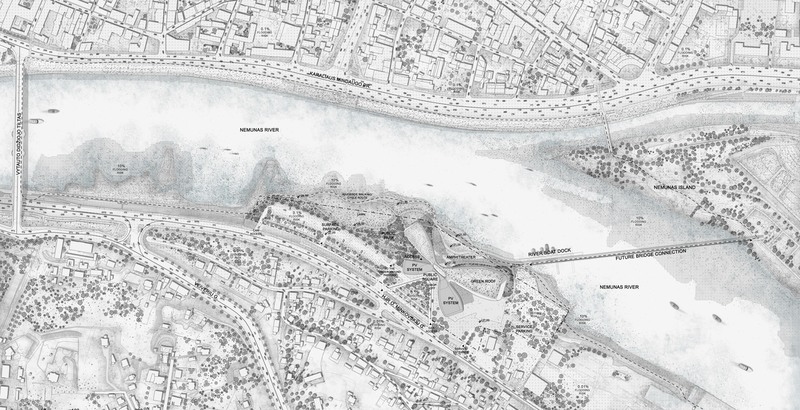 As the new lungs of the city, the centre will sit lightly on the banks of the Nemunas River. Falling within the viewshed of Old Town Kaunas, the site will be an integral part of the urban fabric. A place for everyone, the Centre will be the point where community and culture perform a harmonious marriage. Connecting to the left bank, science island and the surrounding districts, the Cultural Center will be known as the place where the city breaths. A place of knowledge and ideas, Kaunas’s Concert Center will inspire throughout Europe of what it means to live in the Baltic State. Moments sprinkle through the site as small reflections of M.K. Ciulionis’s creations. Light falling over landscapes mimic the paintings and move in the rhythms of his work. The tactile expression of centre will be in the local materials of the region, used to form the bond between the past and the present of Kaunas, linking between them the M.K. Ciurlionis Concert Centre as the cultural epicenter. The journey through the landscape is both meandering and experiential, serving both as a vital contributor to the local ecology and a substantial public and civic landscape aimed at maximizing human connectivity with ecological systems and each other, fostering a shared experience. The main auditorium folds inward the poetic connections to the culture and city of Kaunas. The ship bows slide into the perimeter of the room framing the alcoves of the balconies. Light wells at the far end of the auditorium emulate the glowing light so fondly found in the paintings of M.K. Ciulionis, bending in and around to the viewer as you enter. The Kaunas M.K. 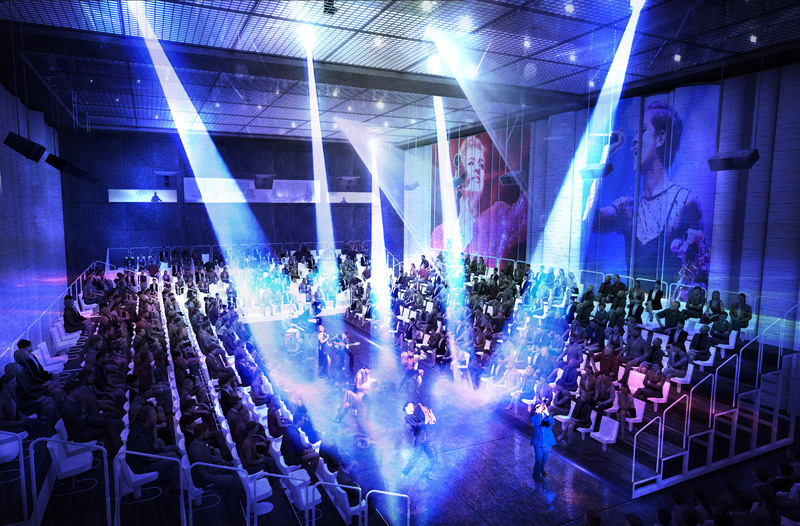 Ciurlionis Concert Centre is to be an exemplar of sustainability. Sustainable strategies have been identified in three key zones of the master plan which are also elaborated in the landscape design itself. The centre will be a global leader in the reduction of the human carbon footprint both visually and statistically.